Countless books, in dozens of genres, feature someone with superhuman gifts. This list is only a tiny sampling! Anthony, Piers. A Spell for Chameleon (Del Ray, 1987). This and the "Xanth" books that follow are set in a world where everyone has exactly one magical gift. Gamers who prefer inborn magical abilities to magic spells will find many ideas for abilities here. Bester, Alfred. The Stars My Destination (Vintage, 1996). A dramatic revenge thriller set in a world with near-universal teleportation and other, less common psi powers. Also known as Tiger! Tiger! Brust, Steven. The Book of Jhereg (Ace, 1999). The first of several collections of the "Vlad Taltos" series. Witch, telepath, and a keenly skilled assassin, Vlad calls upon even more gifted allies during his adventures . . . when he isn't personally serving a goddess. Clayton, Jo. Drinker of Souls (DAW, 1986). A girl is given special powers to fulfill her goddess' purpose. Del Rey, Lester. Pstalemate (Del Rey, 1986). Psi presented in classic science-fiction style. Eddings, David. Pawn of Prophecy (Del Rey, 1986). This and other volumes of the "Belgariad" depict several kinds of magical powers, as well as a few unique gifts. Gaiman, Neil and Stewart, Alex (devisers). Temps (Roc, 1991). Humorous, low-key tales about truly minor powers. Followed by Euro Temps (Roc, 1992). Green, Sharon. Convergence (Eos, 1996). In a world where everyone has one of a limited set of elemental powers, the strongest bearers of each must unite to deal with treacherous foes. Kicks off "The Blending" series. Henderson, Zenna. Ingathering (NESFA Press, 1995). Collects the author's stories of "The People": alien immigrants in 19th- and 20th-century America, whose powers seem to be at once psionic and mystical. Herbert, Frank. Dune (Ace, 1996). This futuristic tale and its sequels chronicle the deeds of a messiah, Muad'Dib. Many others have powers, too – often with interesting origins such as intensive, quasi-mystical training and a powerful drug called melange. Hesiod. Theogony (Oxford University Press, 1999). The ancient world's most influential compilation of myths. It shaped all later versions of Greek and Roman mythology. Lorrah, Jean. Savage Empire: Dark Moon Rising (Benbella Books, 2004). Psi-like powers compete in a late Iron Age world. This book collects the first three volumes of the "Savage Empire" series. Martin, George R. R. (editor). Wild Cards (Bantam, 1987). First of several collections of short stories that describe a variety of superhuman abilities – not always beneficial – caused by an alien virus. Adapted as GURPS Wild Cards (Steve Jackson Games, 1989). McCaffrey, Anne. The Rowan (Ace, 1991). In the future, psi abilities are augmented with electrical generators to reach the stars. The first volume of the "Talent" series. Pratchett, Terry. Thief of Time (Harper Torch, 2002). This installment of Pratchett's "Discworld" series features time-manipulating martial-artist monks, as well as various transcendent entities with strange powers. The rest of the series is equally inspirational! Schmitz, James H. Telzey Amberdon (Baen, 2000). A young telepath faces a variety of challenges, including opponents with other powers. Collected from earlier works in the "Hub" series. Smith, E. E. "Doc." First Lensman (Old Earth Books, 1997). This "prequel" volume ties together Smith's "Lensman" books, which depict galaxy-spanning psi powers. The series was adapted as GURPS Lensman (Steve Jackson Games, 2001). Stasheff, Christopher. The Warlock in Spite of Himself (Ace, 1998). An interstellar agent must deal with psi powers on a medieval planet. 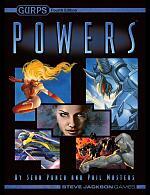 Powers are equally central to the "Warlock" series that follows. Sterling, Bruce. Schismatrix (Arbor House, 1985). Spacefaring humanity uses subtle but formidable cybernetic and bioengineered abilities to achieve transcendence. More easily found as Schismatrix Plus (Ace, 1996), which includes related short stories. Tepper, Sheri S. King's Blood Four (Ace, 1983). In a world where those with powers play games using people, a boy who has the strongest forms of all powers seeks purpose. The story continues in the "True Game" series. Varley, John. Titan (Ace, 1992). Astronauts discover a living space habitat that can create new species and manipulate existing creatures (including visitors), giving them new "natural" abilities. A biological vs. mechanical arms race ensues. Watt-Evans, Lawrence. Spell of the Black Dagger (Ballentine Books, 1993). In a world where powers are common, an investigator without powers must deal with an empowered murderer. Part of the "Ethshar" series, which describes many powers. Williams, Walter Jon. Metropolitan (Harper Prism, 1995). Mages on a strange, far-future Earth wield a mysterious power called "plasm," created by the geomantic stress of city architecture. Wolfe, Gene. Shadow & Claw (Orb, 1994). In the far future, exiled torturer Severian encounters enemies and allies with superhuman abilities before discovering his own. The first of two "Book of the New Sun" collections, adapted as GURPS New Sun (Steve Jackson Games, 2000). Wylie, Philip. Gladiator (Bison, 2004). First published in 1930 – and said to be one of the inspirations for Superman – this story looks at how super-abilities would affect the life of an ordinary man. Zelazny, Roger. Lord of Light (Eos, 2004). Psionic and technological powers enable the rulers of a far-future colony world to pose as gods. Thousands of heroes and villains, with all manner of powers, appear in comic books – especially those published by DC Comics and Marvel Comics over the past 65 years. Japanese "manga" are equally fertile grounds. New comics appear all the time, while collections of older stories are available in book form. Below are some influential titles. Ellis, Warren. Planetary (Wildstorm, 1998-present). Super-powered adventurers investigate the hidden history of the 20th century, which proves to involve all manner of powers, creatures, forces, and conspiracies. Gaiman, Neil. The Sandman (DC Comics, 1989-1996). Title character Dream – with siblings Destiny, Destruction, Death, Desire, Delirium, and Despair – personify abstract concepts. They have cosmic powers to match, but also some decidedly human flaws. Jolley, Dan and Harris, Tony. JSA: The Liberty File (DC Comics, 2000). Several classic DC Comics superheroes appear as undercover operatives in WWII – an excellent example of the "gritty heroes" style. Mignola, Mike. Hellboy (Dark Horse Comics, 1993-present). Meet Hellboy, a demon fighting on the side of good in battles involving magical, psi, and spirit powers. Adapted as the Hellboy Sourcebook and Roleplaying Game (Steve Jackson Games, 2002). Moore, Alan. Watchmen (DC Comics, 1986-1987). A dark saga of a single, cosmic-powered being, a handful of heroes in strange costumes, and the problem of saving the world. Ostrander, John. Suicide Squad (DC Comics, 1987-1992). Deniable special-ops teams composed of supervillains and second-string heroes risk death on missions similar to RPG adventures. Straczynski, J. Michael. Rising Stars (Image Comics, 2000-present). Gives a single empowering event and a common source for all super-powers. Makes an effort to justify most of what happens – including many standard superhero genre conventions. Toriyama, Akira. Dragon Ball (Shueisha, 1984-1995). A saga of extremely powerful martial artists with world-wrecking chi abilities. Serialized in Shonen Jump magazine. Various authors. Doom Patrol (DC Comics, 1964-present). This relatively minor title always involved weirder-than-usual characters . . . but when Grant Morrison was writing, it became especially bizarre. Various authors. Justice League of America (DC Comics, 1960-present). Features several of the most powerful characters in DC Comics universe. Reformulated by Grant Morrison in 1997. Various authors. Swamp Thing (DC Comics, 1972-present). Created by Len Wein and Berni Wrightson, Swamp Thing began as a robust but unhappy super-being. During Alan Moore's stint as writer in the 1980s, the protagonist developed into an intelligent earth elemental with vast mystical powers. Various authors. X-Men (Marvel Comics, 1963-present). Created by Jack Kirby and Stan Lee as X-Men, but retitled The Uncanny X-Men and then New X-Men. One of the best-known superhero comics, it spawned several spin-offs (such as The New Mutants and Wolverine) and had an extensive cast of heroes and villains with mutant super-powers. Look especially for issues written by Chris Claremont and Grant Morrison. Wagner, Matt. Mage Volume 1: The Hero Discovered (Image Comics, 2004). A superhero comic without the costumes or aliases. The hero is a new avatar of an ancient legend, and finds himself drawn into mystical battles with faeries and evil enchanters. Allston, Aaron. Champions: Superpowered Roleplaying (Hero Games, 2002). This is the superhero supplement for the current edition of the Hero System. Provides extensive rules for handling powers in all genres. Hero originated from a standalone version of Champions, and its supplements provide an excellent treatment of superheroes in games. Borgstrom, R. Sean. Nobilis (Hogshead Publishing, 2002). A game of powerful gods and monsters who govern whole aspects of reality. Brucato, Phil and Wieck, Stewart. Mage: The Ascension (White Wolf, 2000). White Wolf's game of diverse powers united by subjective metaphysics – an earlier version of which was adapted as GURPS Mage: The Ascension (Steve Jackson Games, 1994). Part of the "World of Darkness" line, which included games about vampires, werewolves, wraiths, and changelings, each with their own powers. Grabowski, Geoffrey C., and Hatch, Robert. Exalted (White Wolf, 2001). Anime-influenced high fantasy in a world filled with gods, spirits, and magically gifted mortals. Nominally set in the distant past, but the world owes almost nothing to real history. Akira (Katsuhiro Ôtomo, 1988). Anime adaptation of part of a classic manga story about a very high-powered psi. Crouching Tiger, Hidden Dragon [Wo hu cang long] (Ang Lee, 2000). An excellent display of wuxia-style chi abilities. Many movies in the genre depict more gifted heroes, but this one is remarkably well made. Incredibles, The (Brad Bird, 2004). A brilliant application of computer animation techniques to the superhero genre. Matrix, The (Andy and Larry Wachowski, 1999). If the world is an illusion, powers are a liberation . . . The sequels are less well regarded. Prophecy, The (Gregory Widen, 1995). The politics of Heaven and Hell spill onto Earth. This "good" bad movie treats divine and moral powers in a game-friendly way. The powers are more visible in the many sequels, but the story suffers. Scanners (David Cronenberg, 1981). A non-superheroic depiction of psi. 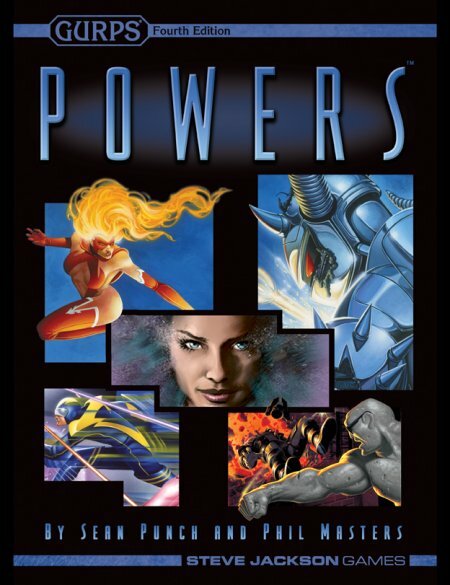 Notable for a contest between psi and non-psionic body control, as well as the first cinematic use of telepathy on computers. Avoid the sequels. Superman (Richard Donner, 1978). Christopher Reeve skillfully takes the role of the original superhero. The sequels weren't as good, but Superman II (Richard Lester, 1980) depicted super-powered battles well. X-Men (Bryan Singer, 2000). An excellent adaptation of the comics (see above). The sequel, X2 (Bryan Singer, 2003), preserves the quality. Buffy the Vampire Slayer (20th Century Fox, 1997-2003). Supernatural monster-fighting! Spin-off series Angel (20th Century Fox, 1999-2004) presents an even wider range of powers and creatures. Doctor Who (BBC, 1963-present). Weird and wonderful adventures across time and space. Some of the aliens display a variety of powers. Farscape (Hallmark Entertainment, 1999-2004). Colorful and sometimes surprisingly sophisticated space opera, featuring exotic aliens with bizarre powers. Smallville (Warner Bros., 2001-2011). This retelling of Superman's origin story adds the twist that a shower of kryptonite meteorites – with the power to empower or harm humans – accompanied the young Kryptonian's arrival on Earth. Later seasons bring in other DC Universe supers, including Aquaman, Flash, Supergirl, and Zod.